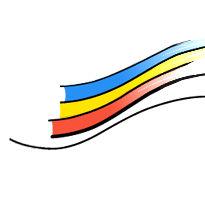 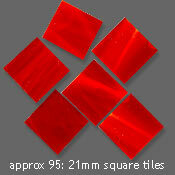 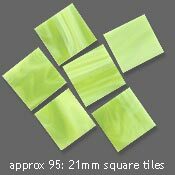 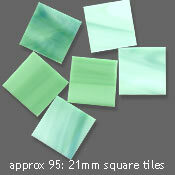 This is our range of pre-cut glass mosaic tiles. 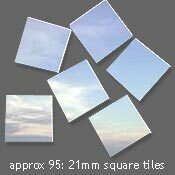 Each tub contains around 95 tiles, 21mm x 21mm, (coverge about 200 x 300mm, or 2.1 lineal meters) cut from a range of solid, translucent and wispy glass. 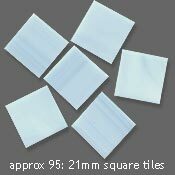 Because they are of 3mm equal thickness your resulting piece will maintain a lovely flat finished surface. 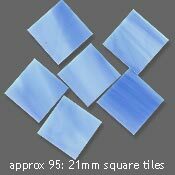 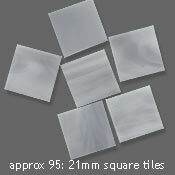 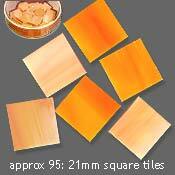 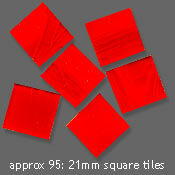 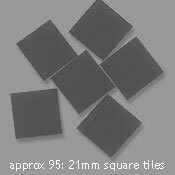 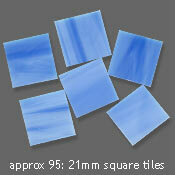 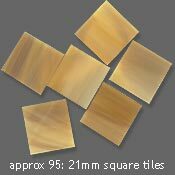 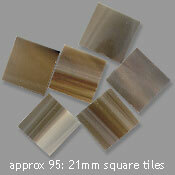 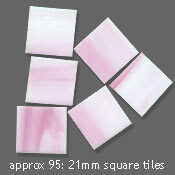 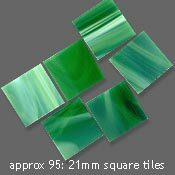 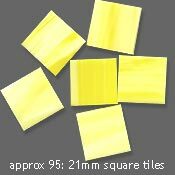 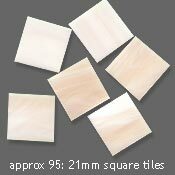 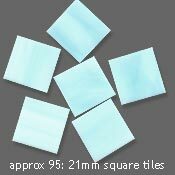 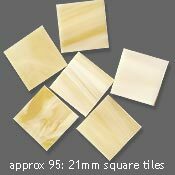 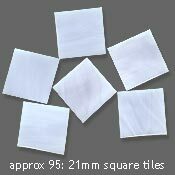 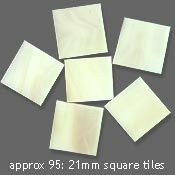 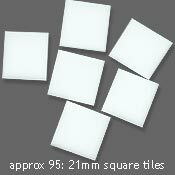 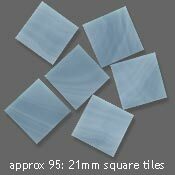 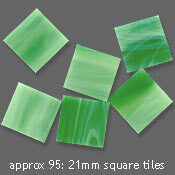 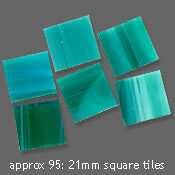 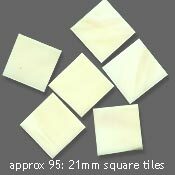 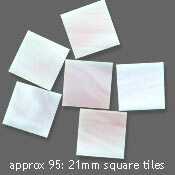 They are perfect for classical mosaic designs or to create regular borders. 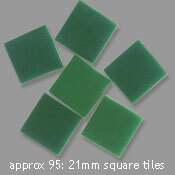 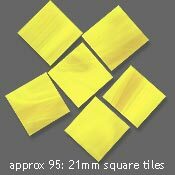 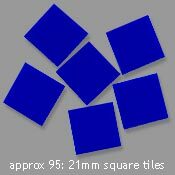 With the aid of a pair of mosaic cutters these tiles can be broken into smaller shapes for random pattern fill.